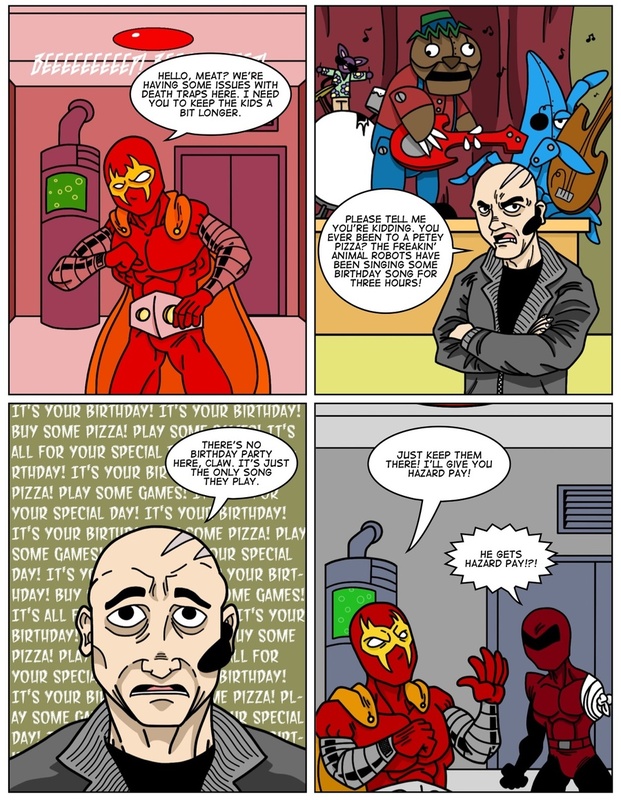 You can leave comments by clicking here, leave a trackback at http://supervillainous.spiderforest.com/comic/meet-meat/trackback/ or subscibe to the RSS Comments Feed for this post. He DESERVES hazard pay. I’d rather face the death traps.